The PSA community is comprised of people of diverse abilities, backgrounds, experiences and cultures. We value the differences among all people and welcome their varied contributions to our school. We partner together to support the various needs and learning styles of our children. Children. Our strong children are at the core of all that we do. We value our children’s continuing adventures and the opportunity they provide for community reflection. Faculty and Staff. 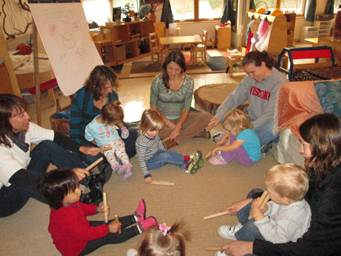 Our nurturing faculty and staff come with a wealth of knowledge and expertise in working with young children. We value professional development and the implementation of the best current practices in early childhood education. Families. Our families are partners in the life of the school. We value open, continuous communication and collaboration. There are various opportunities for involvement and engagement, including serving as Room Parents or on the Board of Directors. Community, At Large. 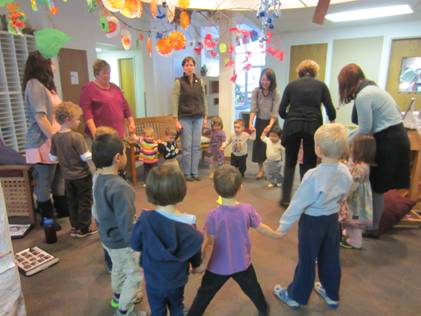 We are part of the larger community of the City of Madison, the preschools of Reggio Emilia, and people everywhere who are interested in high-quality educational experiences for young children. We value our role as a place for exploration of early childhood learning and teaching approaches, and strive to share what we learn with others who have common interests in the wellness of all children.